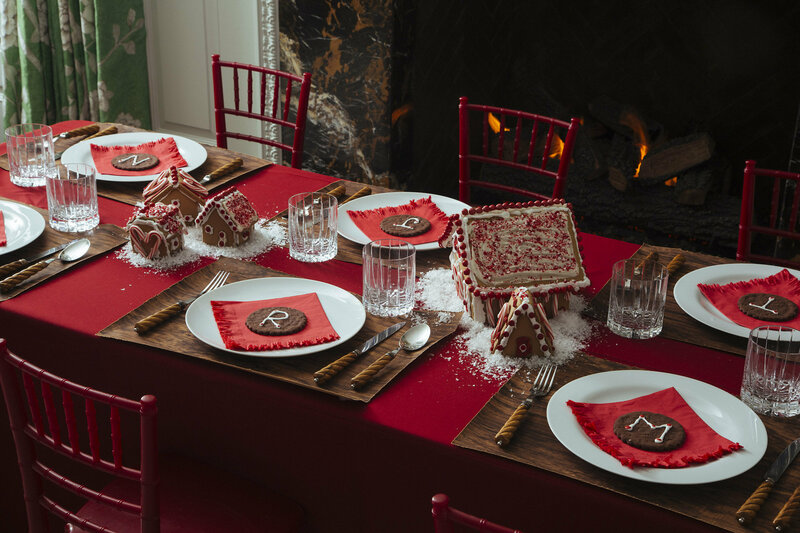 Sweeten the kids’ table with gingerbread and peppermint! For this kids’ table design, let the children be part of making the center master piece. “Just like hanging artwork on the fridge can celebrate your child’s creativity, it’s nice to celebrate their efforts by making gingerbread houses the centerpiece of their table,” Kimberly Schlegel Whitman, author, TV host and editor-at-large of Southern Living says. Step One: Place paper placemats over your table linens to protect your table from any stains. 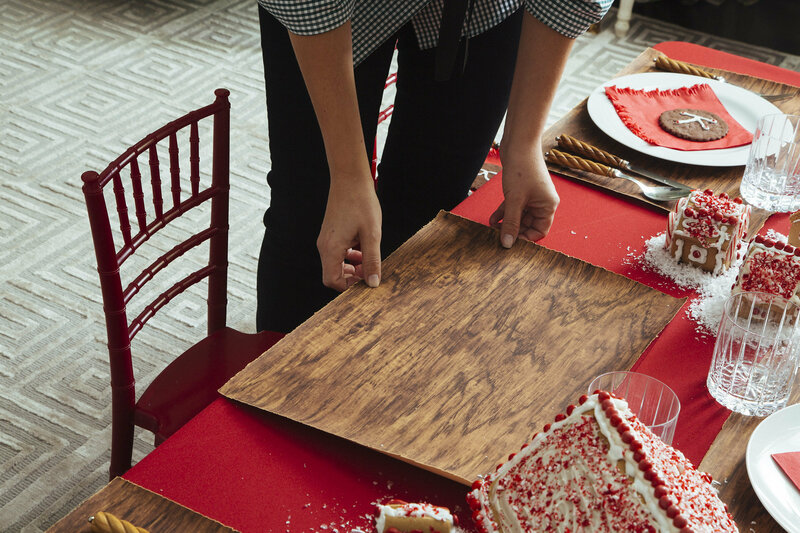 In this setting, Kimberly recommends using faux bois papers from the craft store as placemats but you can use anything! Wrapping paper or newsprint will work, too. 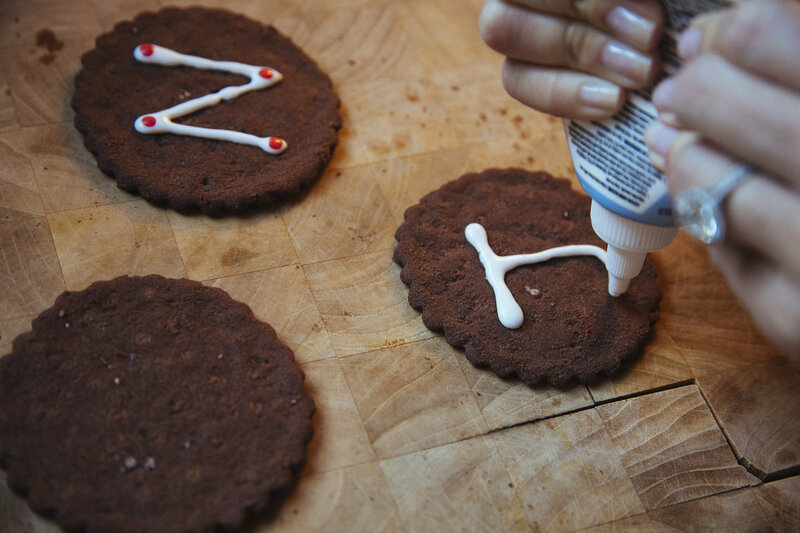 Step Three: Monogram a gingersnap cookie with red and white icing to create a place card that doubles as a sweet treat! Kimberly likes to buy pre-made gingersnaps and uses her favorite icing recipe in a piping bag to personalize. Step Four: Place the cookie and gingerbread house creations your kids are proudest of in the center of the table. 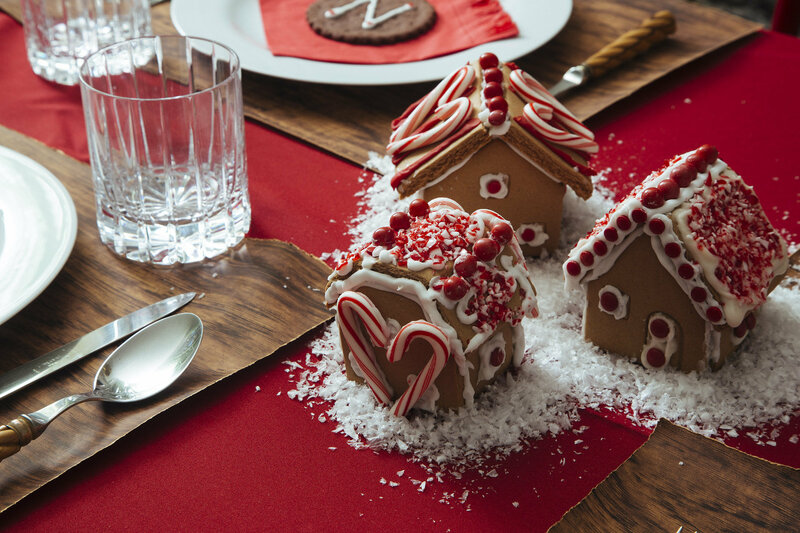 Sprinkle faux snow around the gingerbread houses to add a finishing touch. Read about more fun children’s table ideas, including a Winter Wonderland, on The Chicken Wire.